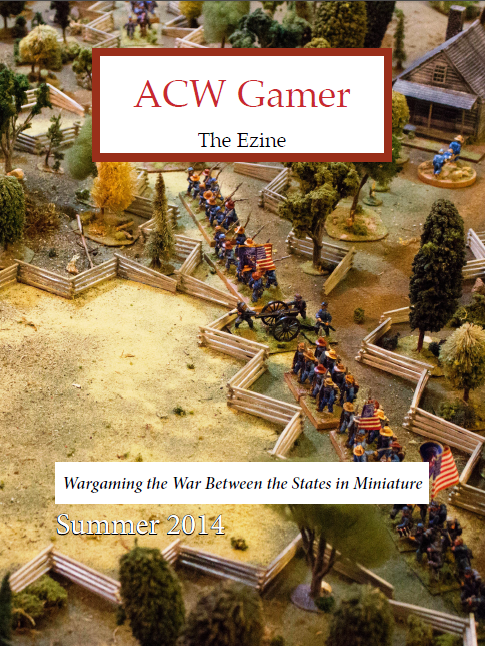 ACW Gamer Ezine #4 issued! 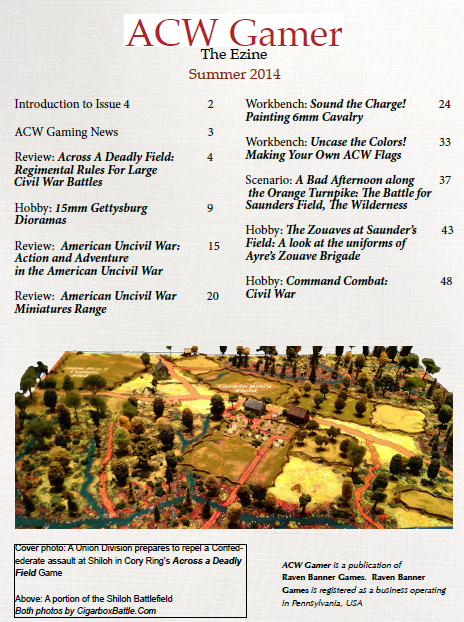 Northwestern Pennsylvania gamer and publisher Stephen Huckaby has released his fourth issue of his popular new electronic magazine (“ezine”) for Civil War miniature wargamers, ACW Gamer. This publication continues in the tradition of The Zouave and Charge!, two defunct hard copy magazines which helped grow the hobby of ACW gaming, but with the advent of digital offers more color and more pages than possible with the earlier magazines (which were limited by postal weight regulations and costs). Stephen, congratulations on completing your first year with ACW Gamer! Well done! Huzzah! Here’s to many more years. I published Charge! with my wife Debi for a decade, so I have a little appreciation for the work you do in collecting and soliciting good stories and articles, laying out the issue, building up a fan base, and keeping it going quarter to quarter. Here is the table of contents for the Summer 2014 issue.